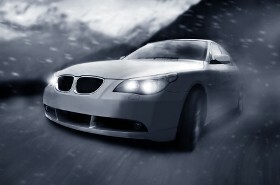 We are pleased to offer a variety of parts for chassis applications at value pricing. Listed price is for one axle. Water quenched and tempered, Nickel plated guide tongues. Listed price is for one Guide Tongue. 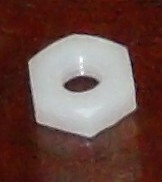 White Nylon Guide Nut fits in standard driver socket. These nuts are light weight and hold on the guide very nicely. Listed price is for one Guide Nut. 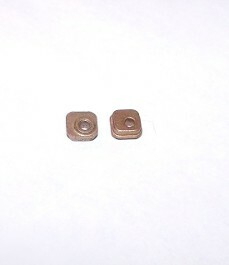 Replacement square bushings for Flexi Cars, etc. Four positions make it easy to adjust wheel base and ride height. Listed prices is for one pair.